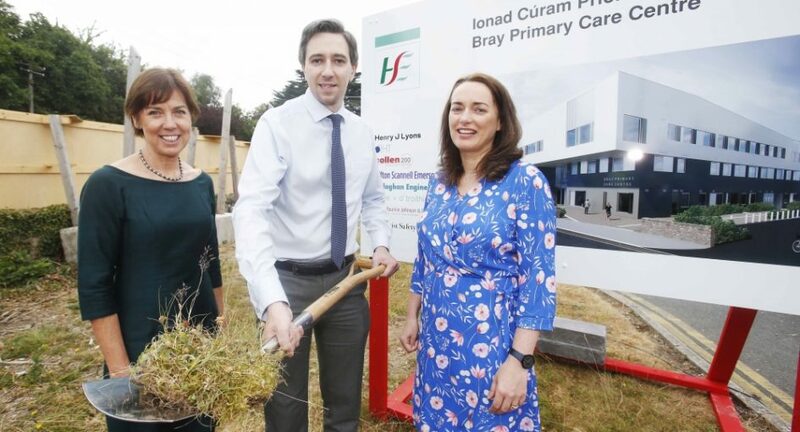 Minister for Health Simon Harris turning the sod at the new HSE Primary Care Centre in Bray alongside Martina Queally Chief Officer HSE Community Healthcare East and Lorraine Kennedy Head of Service Primary Care. 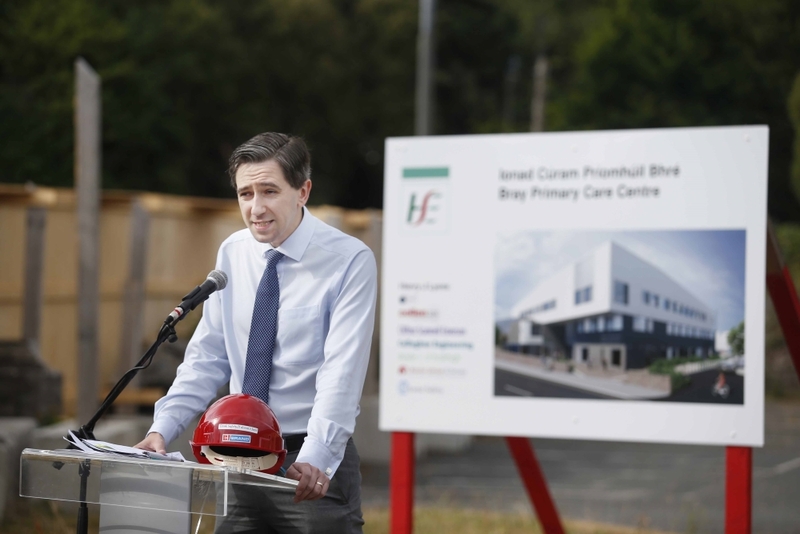 Wicklow TD Minister Simon Harris has this week, turned the sod to mark the beginning of works on a new Primary Care Centre for Bray. With site clearance works for the centre underway, construction works are programmed to start in August 2018 and to be completed by the end of 2019. In addition, general community adult Mental Health services will be provided at the new Primary Care Centre in Bray. Services for Older Persons, including space for Bray Old Folks Association, will be provided from a new facility to be constructed within the building. Speaking at the sod turning, Minister Harris said: “It is a pleasure to officially turn the sod on Bray Primary Care Centre. Primary Care is at the heart of what we do in the Health Service. Making the shift towards primary care, in order to deliver better care close to home in communities across the country, is paramount.